Last week’s other top-gaining mining stocks on the TSX were Silver Bear Resources, Continental Gold, Tanzanian Royalty and IAMGOLD. The S&P/TSX Composite Index (INDEXTSI:OSPTX) was slightly higher at open on Friday (February 1) morning, gaining 0.02 percent, or 3.87 points, to 15,544.47. The positive momentum was attributed to a 2.4 percent uptick in the healthcare sector, as well as growth in the 7 other major sectors, including cannabis and energy. The loonie was also up to its highest in nearly three months thanks to rising oil prices. By midday, Canada’s largest exchange had trended lower sitting flatly at 15,5246.77 at 11:51 a.m. EST. Diversified miner Eldorado Gold is a mid-tier gold producer that also mines base metals. The vast majority of Eldorado’s assets are located in Europe, specifically Greece, Turkey and Romania. The company also operates a gold mine in Quebec. Eldorado also has an iron ore mine on care and maintenance in Brazil. On January 30, the company announced it would resume mining and heap leaching at its Kisladag gold mine in Turkey. “The decision to restart mining and heap leaching at Kisladag is supported by improved heap leach recoveries and confirmed by a revised heap leaching plan developed in early 2019,” said President and CEO George Burns in the company announcement. Eldorado shares were up 45.76 percent on Friday (February 1), trading at C$5.16. Precious metals explorer Silver Bear is currently developing its wholly-owned Mangazeisky silver project, which includes the high-grade Vertikalny deposit. The project is located 400 km north of Yakutsk in the Republic of Sakha within the Russian Federation. The company began commercial production at the beginning of Q3 2018. Silver Bear has not released any company announcements since November 2018. Company stock grew by 28.57 percent last week, to C$0.180. Continental Gold is a Colombian-focused, large-scale gold miner. Continental is working to develop its solely owned Buriticá project. According to the company, Buriticá is one of the largest and highest-grade gold projects in the world. The Buriticá project is on schedule to make its first gold pour during the first half of 2020. Last week, Continental released an updated mineral resource estimate for its Buriticá project. The update featured a measured and indicated mineral resource increase of 19 percent, to 5.58 million gold equivalent ounces. Stock in the company was up 25.68 percent, to C$2.30. Africa-focused gold explorer Tanzanian Royalty is currently developing its Buckreef project in Tanzania. In early January, the company announced it would commence a major three-phase drill program at the site. The company made no announcements during the period. Mid-tier miner IAMGOLD currently operates four gold mines on three continents. The company is focused on its strategic assets in North and South America, as well as West Africa. IAMGOLD also has a number of development and exploration projects underway. On January 30, the company released an updated mineral resource estimate for its solely owned Diakha — Siribaya gold project, in western Mali. The revised amount increased the resource estimate by 57 percent. 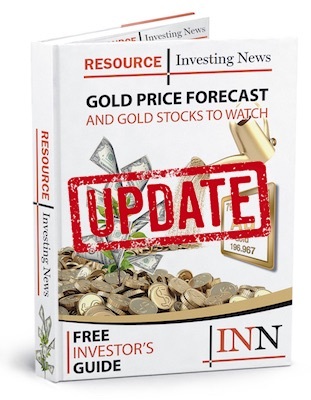 IAMGOLD shares climbed 19.66 percent, last week to C$4.87.